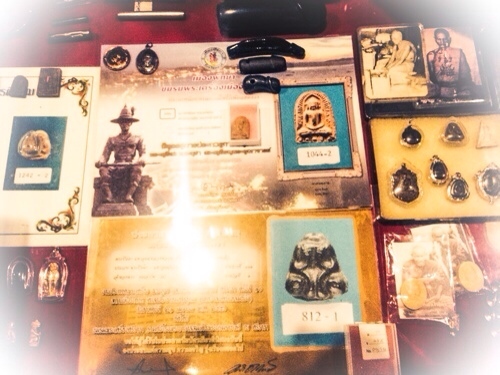 This classic ancient amulet from one of thai amulet history’s greatest, and most sought after Guru Masters. 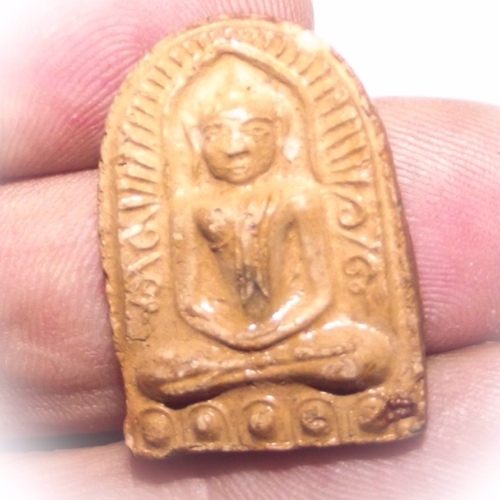 Pra Sum Gor is one of the ‘Top Five’ Benjapakee Classic Amulets of the five Major regions of Thailand. 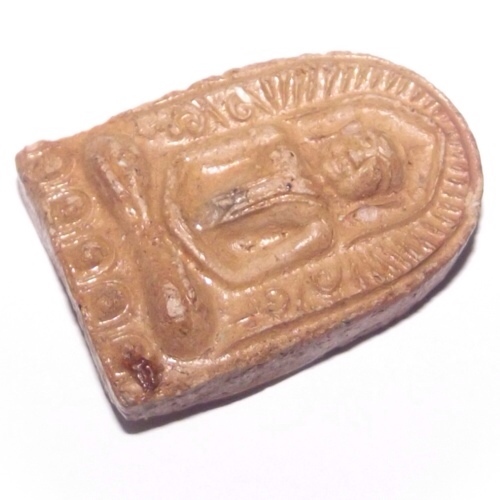 It is a classic hiding place amulet of the clay variety, featuring one of the top five ‘Benjapakee’ regional models of amulet. 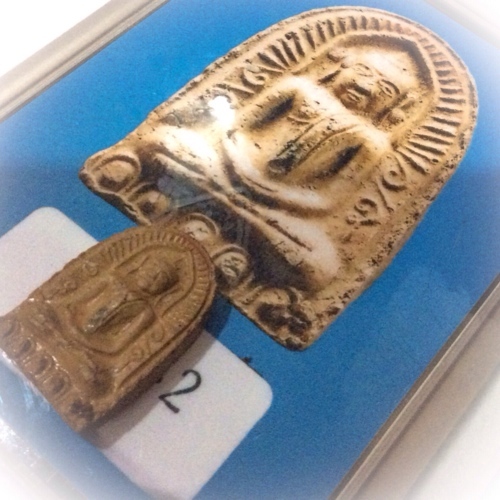 The Pra Sum Gor, is a sacred Buddha image, which has been produced by the greatest masters since hundreds of years, dating back to the times of the Kampaeng Paetch Epoch. 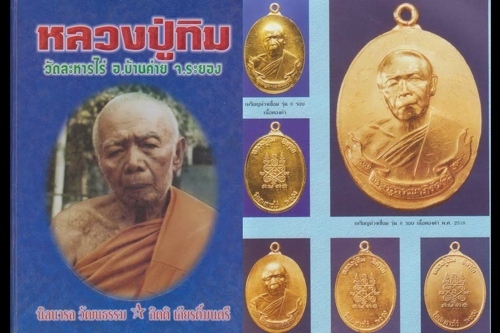 This classic amulet is a Second prize winner, in the national amulet contest of Pattaya amulet appreciation society. 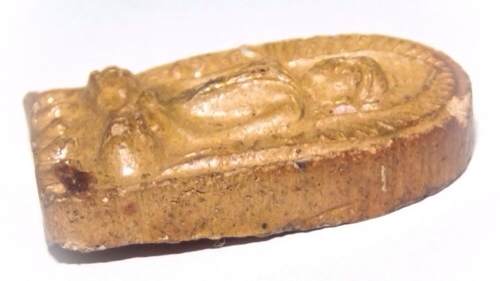 The amulet comes with the second prize certificate included. Luang Phu Tim, is Internationally Acclaimed, for his famous Pra Khun Phaen Pong Prai Kumarn, and Look Om powder balls. 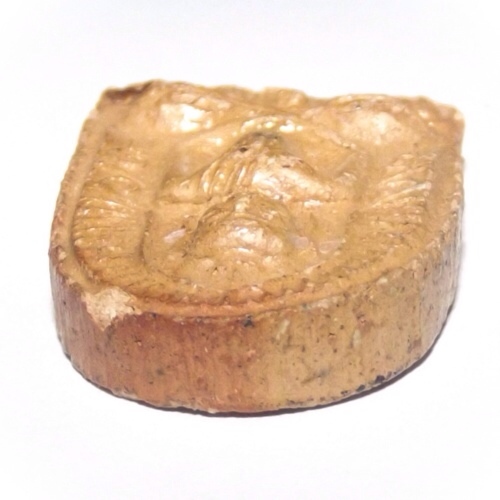 As to the classic ‘Rian mage amulets which have become all time favourites, and eternally, world famous classic amulets of the high end variety. 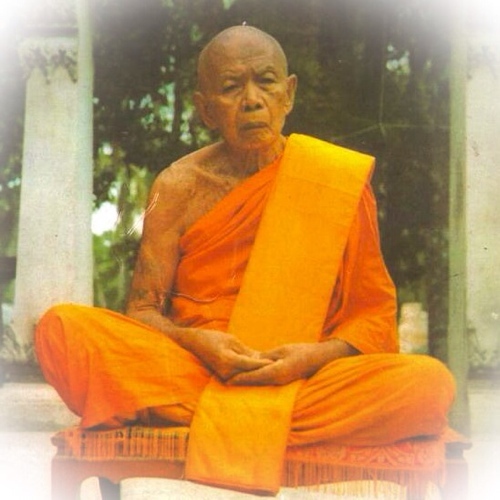 Since his passing, his devotees and apprenticed monks, have now become the world’s top living masters for the making of Pra Khun Phaen Pong Pra Kumarn, and literally dozens of encyclopaedia think books, have been printed, documenting both this great master monk, and his classic amulets of high esteem. He has various direct lineage apprentices, Who are continuing to progress and spread his most powerful and world-famous Wicha. 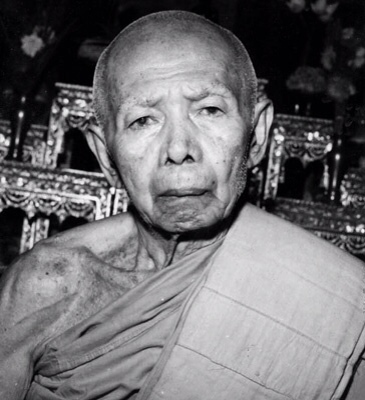 Of all of these masters, perhaps the most famous, preferred, is Luang Por Sakorn, of Wat Nong Grub. 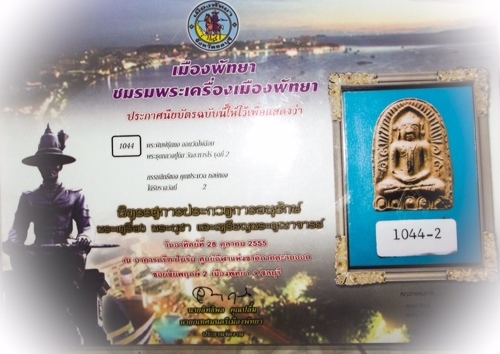 The amulet received second prize in a major competition and has a certificate included with the amulet confirming authenticity and second prize-winning status from the ‘Chom Rom Pra Krueang Pattaya’ amulet appreciation society. 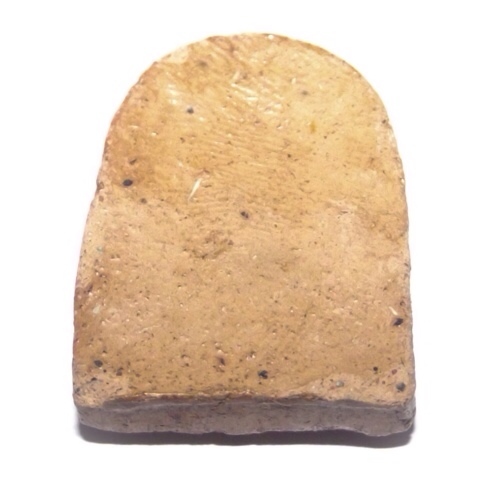 The amulet received the prize for its clarity of distinction, and ease of recognition as well as for its individual unique features. 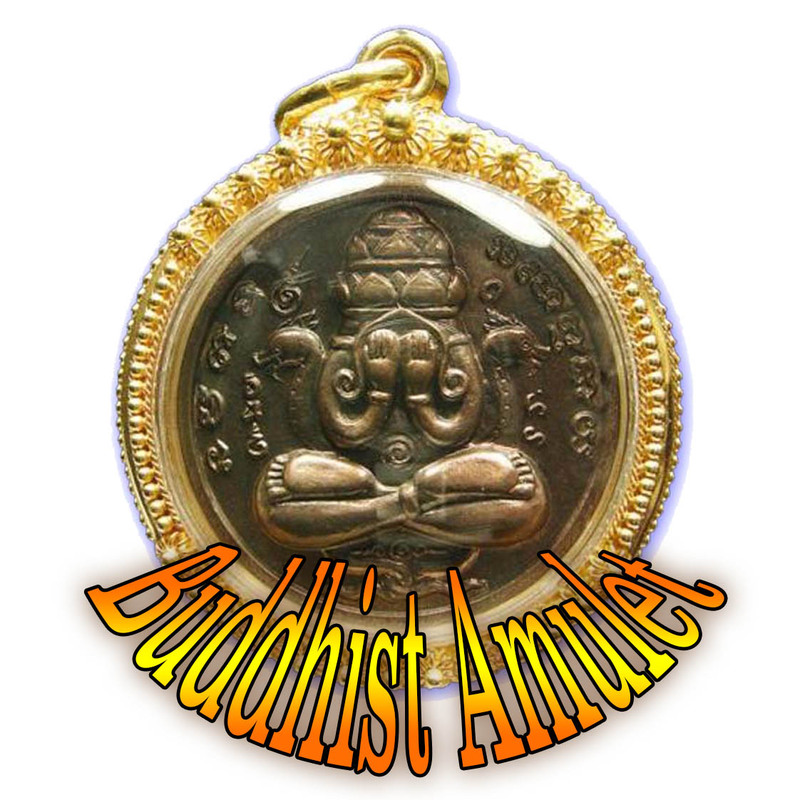 Please click on below image to view a large high-resolution view of Pra Sum Gor Second prize winning amulet with certificate. 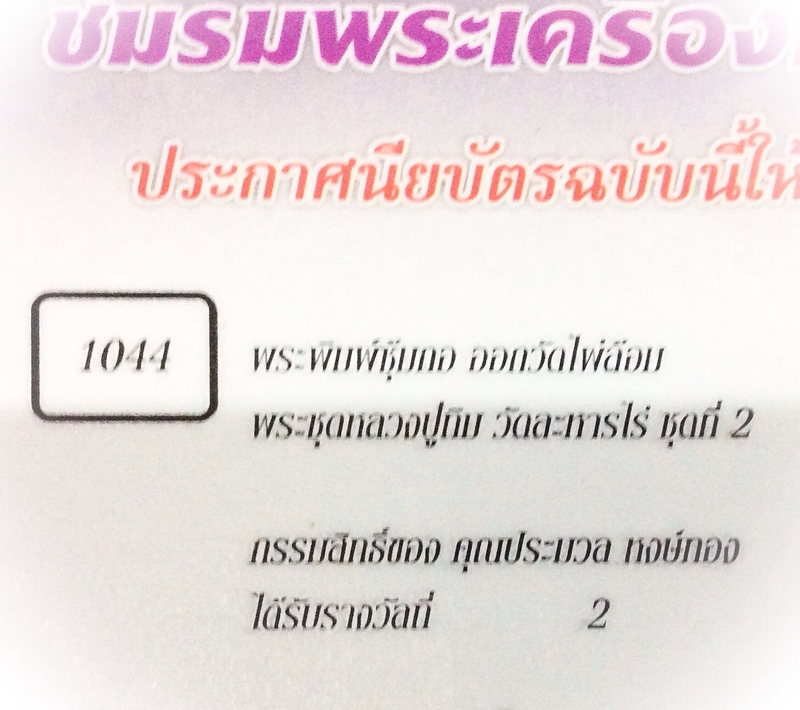 He read the scripture, and found information which told of three stupa (‘chedi’, or ‘stoop’, in Thai) which were in the forest to the west of the temple. And so on expedition was set to search for those stupors. 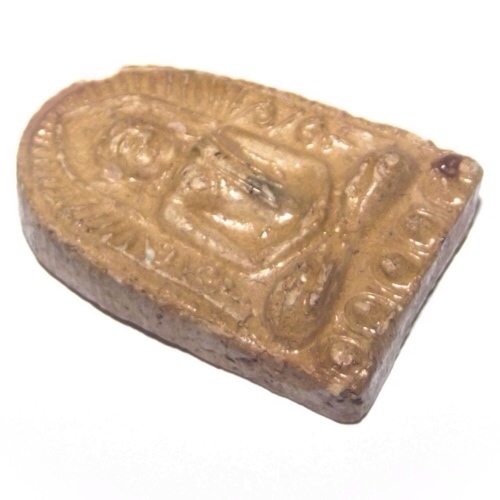 They were found and the ruling minister of the area as permission to demolish them and put them together into one larger stupa. 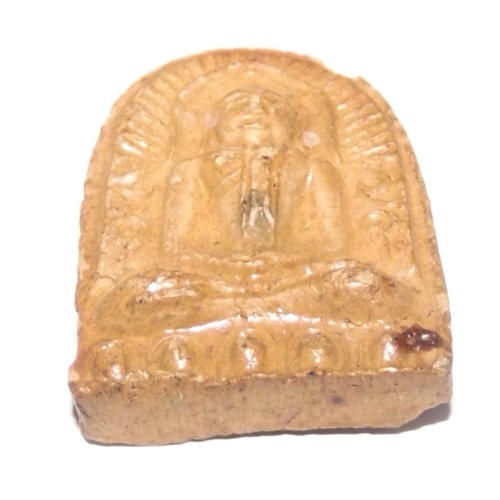 Above; Certificated prizewinner amulets in our showcase, including this Pra Sum Gor.